Crooked Timber and other blogs carry the news this morning of the death of Charles Tilly, Joseph L. Buttenwieser Professor of Social Science, Columbia University and path-breaking scholar on war, the state and social change and other topics. Tilly's work has been important to new scholarship on the history of law and war. Among his works are European Revolutions: 1492-1992, Durable Inequality, and "War Making and State Making as Organized Crime." Tilly was just awarded the Albert Hirschman Prize from the Social Science Research Council. An interview with Tilly is here. Johann Peter Murmann's blog provides a guide to Tilly's writing about methodology and many links including one to the article How (and What) Are Historians Doing? Do Members of the House of Representatives have a constitutional right to resign their seats? This Article seeks to use that question as a window onto broader issues about the relationship between legislators and citizens and the respective roles of liberalism and republicanism in the American constitutional order. The Constitution explicitly provides for the resignation of Senators, Presidents, and Vice Presidents, but curiously, it does not say anything about resigning from the House of Representatives. Should we allow the expressio unius interpretive canon to govern and conclude that the inclusion of some resignation provisions implies the impermissibility of resignation where there is no such clause? Or should we consider this a meaningless variation? This Article examines how Members left (or were prevented from leaving) the House of Commons, the colonial American legislatures, the early state legislatures, and the Continental Congress and concludes that the background assumption at the Founding was that legislative seats could not be resigned. Moreover, the scant available evidence from the Constitution's drafting shows that the Founders understood there to be a difference between the House and Senate with regard to resignation. The Article presents several reasons, based on the different institutional designs and functions of the two houses, why this might have been the case, including different term lengths and methods of appointment and the early Senate's role as a quasi-ambassadorial body. From this historical evidence, the Article suggests that the House has the power to prevent its Members from resigning. However, the House of Representatives has never exercised this power. After surveying the debates over resignation in the early Congresses, the Article concludes by considering policy reasons for requiring Members to get the House's permission in order to quit their seats. Specifically, the Article offers two paradigm cases for returning to the original understanding. The first case deals with Members who wish to resign while they stand accused of ethical transgressions; the second case deals with Members who wish to leave because legislative service has ceased to be convenient for them. The Article argues that both cases point toward the need for a return to a previous, more republican, understanding of resignations. 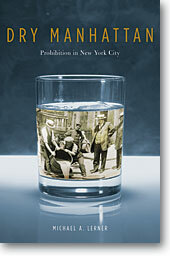 "Much greater in scope than a debate over alcohol consumption, the Prohibition era in New York turned out to be a time of confrontation over how citizens could be governed, the value placed on diverse cultures within a cosmopolitan arena, and the right to rebel against ... moral absolutism." This paper is an invited contribution to the Bernard Siegan Memorial Conference on Economic Liberties, Property Rights, and the Original Meaning of the Constitution at the University of San Diego School of Law. The paper poses three questions about the historical evidence used to support the dominant academic view that the Fifth Amendment's Takings Clause, as originally understood, extended only to physical appropriations or invasions of private property. First, the paper questions the relevance of state and local regulatory practices to the pre-incorporation understanding of the Takings Clause. Second, the paper expresses concern about the use of state-court cases decided well into the nineteenth century to elucidate the meaning of a late-eighteenth-century legal provision. Finally, the paper asks whether the state decisions frequently cited for the "no taking without a touching" principle might have been answering different questions than the modern "regulatory takings" problem. Again this year the American Academy of Arts and Sciences has added a prominent legal historian to its ranks. This year it is Reva Siegel, Yale Law School. (Last year it was Herb Hovenkamp, University of Iowa.) Hat tip. The full list of new fellows is here. Eight historians are on the list. Among them are: Nancy Cott, Harvard; Daniel Rodgers, Princeton; and Joan Wallach Scott, Institute for Advanced Study. Amidst the recent apologies for slavery from the legislatures of Virginia, Maryland, North Carolina, Florida, and Alabama, there is significant controversy over the wisdom of investigations of institution's connections to slavery and apologies for those connections. The divide over attitudes towards apologies falls along racial lines. This paper briefly looks to the controversy on both sides of the apology debates. Among those questions about investigations of the past, Universities occupy a special place. Efforts at recovery of their connections to slavery include a study released by graduate students at Yale in 2001, Brown University's Steering Committee on Slavery and Justice, and the University of Virginia's board of visitors' spring 2007 apology for that institution's connections to slavery. That leads to a question about whether other schools ought to consider a self-investigation. William and Mary is a particularly good place to ask such questions. This paper focuses on Thomas R. Dew, first a professor, then president at William and Mary, from 1828 to his early death in 1846. Dew is the author of Review of the Debates in the Virginia Legislature, one of the most reprinted arguments on slavery in the years leading into Civil War. He is also the author of one of the most comprehensive and important histories published in the United States in the nineteenth century, A Digest of the Laws, Customs, Manners and Institutions of Ancient and Modern Nations. Dew focused on considerations of utility and history to suggest the impracticality of gradual emancipation. Through Dew we can gauge the intellectual connections to slavery, then ask the important question, what - if anything - is an appropriate institutional response today? We can use him to begin a discussion of the virtues and pitfalls of apologies and to assess the value of talk of the connections to the past. Despite his severe racism and inextricable personal commitments to slavery, Thomas Jefferson made profoundly significant contributions to the rise of anti-slavery constitutionalism. This Article examines the narrowly defeated anti-slavery plank in the Territorial Governance Act drafted by Jefferson and ratified by Congress in 1784. The provision would have prohibited slavery in all new states carved out of the western territories ceded to the national government established under the Articles of Confederation. The Act set out the principle that new states would be admitted to the Union on equal terms with existing members, and provided the blueprint for the Republican Guarantee Clause and prohibitions against titles of nobility in the United States Constitution of 1788. The defeated anti-slavery plank inspired the anti-slavery proviso successfully passed into law with the Northwest Ordinance of 1787. Unlike that Ordinance's famous anti-slavery clause, Jefferson's defeated provision would have applied south as well as north of the Ohio River. Whether or not your paragraphs turn out right, you have something to show for your labors. And the entire family can enjoy it. preferably at night, with the 'shapeless universe' outside expunged by darkness. 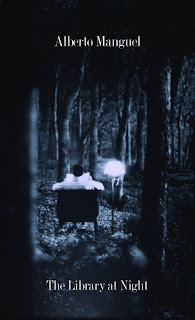 Warmed by the pools of light that spill from his lamps, he does not even need to read: the smell of the wooden shelves and 'the musky perfume of the leather bindings' is enough to pacify him and prepare him for sleep....Within his global, multilingual book collection, he can effortlessly travel in both time and space. This world is fading, however, for "libraries like his are now imperilled by their virtual equivalents on the internet. A book read on a screen has dematerialised; we can neither own nor love it, and if we can't hold it in our hands how can we absorb it into our minds?" What emerges clearly from Giddings' account is a portrait of a courageous activist who desperately longed for recognition and credit but found herself instead perpetually frustrated when passed over for office or denied the praise she believed she deserved. One of the many strengths of Giddings's biography is her reluctance to either romanticize or minimize Wells' contributions. She is also appropriately attentive to the broader canvas of black politics, continually situating Wells in a spectrum of black perspectives that can no longer be reduced to Booker T. Washington's accommodationism and W.E.B. DuBois' militancy. 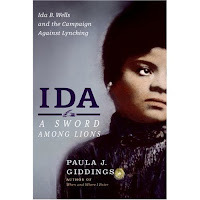 If excessively detailed at times, "Ida: A Sword Among Lions" is nevertheless a skillfully constructed and often moving account of a life and a time whose complexity is always central to its story. Two books on labor history, THE BIG SQUEEZE: Tough Times for the American Worker, by Steven Greenhouse (Knopf), and AMERICAN-MADE: The Enduring Legacy of the WPA: When FDR Put the Nation to Work, by Nick Taylor (Bantam) are reviewed by H.W. Brands for the Washington Post. For Brands, Greenhouse offers "enlightened counterpoints to the dark force of Wal-Mart," even though it is "hard to imagine how government will summon the will to effect the changes" Greenhouse believes are necessary for American workers. Taylor's book is "bigger than its title suggests; he provides a succinct survey of the Great Depression and particularly its consequences for workers." Even though "a warm glow of history enshrouds the WPA," Brand writes, "no one should want to see the WPA experiment repeated, for the reason that it would require reliving the economic circumstances that made it necessary. All the same, the WPA experience demonstrates that democracy can act decisively in a national emergency." Eric Muller at Is That Legal? has run into the effects of cutbacks at the National Archives. Eric was disappointed to find that, in the words of the Archives staff he spoke to, they "really have no one" to replace a senior archivist who was an expert in Justice Department records. The broader impact of cutbacks at the archives was addressed last spring in a post on this blog: Losing American History at the Archives, linking to a NYT op-ed on the topic. While the National Archives now appears to have restored its regular hours, the enduring problem, which Eric encountered, is the loss of experienced senior staff. This does not just make research more difficult and time-consuming. It will mean that some nuggets of history go unfound by researchers, who rely on assistance from those who know the records the best. To repeat the point I made last spring: Undermining the role of the archivist in the production of American history writing will undermine the way the story of American history itself is told. Patrick S. O'Donnell is posting extensive law-related bibliographies at Ratio Juris. He describes his bibliographies and provides a list here. Sacrifice and Civic Membership: Who Earns Rights, and When? Zachary M. Schrag, George Mason University, has a new paper that will be of great interest to many researchers, How Talking Became Human Subjects Research: The Federal Regulation of the Social Sciences, 1965-1991. It is forthcoming in the Journal of Policy History. There has been much controversy in the past year over proposed expansion of the category of research subject to review before Institutional Review Boards, potentially including oral history research. The American Historical Association submitted a letter to the Office for Human Research Protections objecting to inclusion of oral history, and has lauded Schrag's research. Schrag blogs about these issues at, appropriately enough, the Institutional Review Blog. In universities across the United States, institutional review boards, or IRBs, claim that they have the moral and legal authority to control the work of researchers in the humanities and social sciences. While IRBs may claim powers independent of federal regulations, they invariably point to these regulations as a key source of their authority. This article draws on previously untapped manuscript materials in the National Archives to trace the history of the federal regulation of social science research. Officials raised sincere concerns about dangers to participants in social science research, especially the unwarranted invasion of privacy as a result of poorly planned survey and observational research. On the other hand, the application of the regulations to the social sciences was far less careful than was the development of guidelines for biomedical research. Regulators failed to define the problem they were trying to solve, then insisted on a protective measure borrowed from biomedical research without investigating alternatives. This Article explores the ancient roots of the originalist approach to constitutional interpretation by examining the use of legislative intent in the courtroom speeches of fourth-century Athens. Athenian litigants faced many of the same problems of statutory interpretation that continue to challenge the justices of the Supreme Court, and just as modern originalists argue that the intent of the Founding Fathers should guide constitutional interpretation in order to guard against judicial activism, the Athenians frequently made use of legislative intent in an effort to prevent Athenian juries from adopting an interpretation of a law that strayed too far from the intent of the lawgiver. The data collected in this study show that Athenian litigants used legislative intent frequently as a tool of statutory interpretation, but that they also used the intent of the lawgiver in unexpected ways in a variety of different arguments. The study also reveals certain inherent problems in the use of legislative intent that have yet to be solved by modern jurists, such as the difficulty in determining the true intent of the legislator. In the end, however, this Article provides new evidence that the use of legislative intent, despite its inherent weaknesses, ultimately contributed to the consistent and reasonable interpretation of law in Athens - for even when intent is difficult to determine with certainty, the very exercise of manufacturing an intent that is consistent with the character and principles of the wise lawgiver (or the Founding Fathers) promises to prevent interpretations that stray from the traditional understanding of the law. In Everson v. Board of Education (1947), the Supreme Court elevated the events surrounding the disestablishment of the Anglican Church in Virginia during and soon after the American Revolution as a principal guide for the meaning of the Establishment Clause. The rule to come out of the Virginia experience is that support for religion should be voluntary thus, no active support by the government. An in-depth examination of James Madison's Memorial and Remonstrance opposing Patrick Henry's Assessment Bill is undertaken here not only because of its role in the Virginia disestablishment, but because it is the most important document on religious freedom by an American. In a blend of Lockeian views and those of Protestant dissenters, Madison argues that government should have "no cognizance" over claims of "religious truth," as opposed to religious teachings that speak to moral issues of interest to our common life together and hence properly of interest to civil government. Back in 1785, however, Madison's Memorial was less influential than petitions filed by Virginia's Presbyterians and Baptists. A careful look at all these petitions shows that the theological reasons for opposing a religious establishment were the more persuasive. The primary aim of the petitions was to protect organized religion from being corrupted by too close an embrace by the civil state. Virginia's dramatic story is told here of how a few well-placed statesmen of Lockeian sympathies made common cause with religious dissenters to narrowly carry off a defeat of Henry's tax for the support of clergy salaries. The lesson is that the government's jurisdiction ("cognizance") over the church is limited, as civil government is without authority to actively support (or interfere with internal matters of) organized religion, all to the mutual benefit of church and state. The European Court of Justice in Luxembourg has been issuing judgments since 1954. It is beyond doubt that this body has, in these judgments, influenced the nature of European integration, indeed the nature of Europe itself, in a far reaching manner. Over the years, this Court has been called upon many times to judge in cases and claims originating in wartime Europe. The first of these occurred in 1975 and there are still, in 2008, several cases rooted in the Second World War awaiting judgment. In other words, the legacy of what happened in Europe between 1933 and 1945 is very much a live, if not very well known, issue before the judges of the European Union. This paper examines how the European Court of Justice responds to wartime based claims and how its jurisprudence deals with the history of the Member States of the EU. It is, in other words a specific analysis of the Vergangenheitsbewältigung (the management of the past) by one institution of the Union. This analysis is framed within an appreciation of the difficulties inherent in confronting memories within the European Union. The Court of the Union is no different in this respect and it emerges as closed and restrained when faced with wartime narratives. This struggle to judicially handle its own history, and the narratives which are unearthed in individual, isolated, modest cases, collectively expose a European Union still very much required to confront the past. The Crisis of Imprisonment: Protest, Politics, and the Making of the American Penal State, 1776-1941 by Rebecca McLennan has just been published by Cambridge University Press as part of the series Cambridge Historical Studies in American Law and Society edited by Chris Tomlins. In the Age of Jackson, private enterprise set up shop in the American penal system. Working hand in glove with state government, contractors in both the North and the South would go on to put more than half a million imprisoned men, women, and youth to hard, sweated toil for private gain by 1900. Held captive, stripped of their rights, and subject to lash and paddle, convict laborers churned out vast quantities of goods and revenue, in some years generating the equivalent of more than $30 billion worth of work. By the 1880s, however, a growing mass of Americans came to regard the prison labor system as immoral and unbefitting of a free republic: it fostered torture and other abuses, degraded free citizen-workers, corrupted government and the legal system, and stifled the supposedly ethical purposes of punishment. The Crisis of Imprisonment tells the remarkable story of this controversial system of penal servitude:-how it came into being, how it worked, how the popular campaigns for its abolition were ultimately victorious, and how it shaped and continues to haunt the American penal system. The author takes the reader into the morally vital world of nineteenth-century artisans, industrial workers, farmers, clergy, convicts, machine politicians, and labor leaders and shows how prisons became a lightning rod in a determined defense of republican and Christian values against the encroachments of an unbridled market capitalism. She explores the vexing ethical questions that prisons posed then and remain exigent today: What are the limits of state power over the minds, bodies, and souls of citizens and others-is torture permissible under certain circumstances? What, if anything, makes the state morally fit to deprive a person of life or liberty? Are prisoners slaves and, if so, by what right? Should prisoners work? Is the prison a morally defensible institution? The eventual abolition of prison labor contracting plunged the prisons into deep fiscal and ideological crisis. The second half of the book offers a sweeping reinterpretation of Progressive Era prison reform as, above all, a response to this crisis. It concludes with an exploration of the long-range impact of both penal servitude and the anti-prison labor movement on the modern American penal system. Several prize deadlines are announced in the Winter/Spring issue of the American Society for Legal History Newsletter. Conference papers submitted for the Kathryn T. Preyer Scholars award are due June 15, 2008. The program of Kathryn T. Preyer Scholars is designed to help legal historians at the beginning of their careers. At the annual meeting of the Society two younger legal historians designated Kathryn T. Preyer Scholars will present what would normally be their first papers to the Society. The deadline for the John Phillip Reid Book Award for the best book published in 2007 in English in any of the fields broadly defined as Anglo-American legal history is May 30, 2008. Nominations for this year’s prize should include a curriculum vitae of the author and be accompanied by a hard copy version of the work (no electronic submissions, please). The William Nelson Cromwell Foundation awards annually a $5000 prize for excellence in scholarship in the field of American Legal History by a junior scholar. The prize is designed to recognize and promote new work in the field by graduate students, law students, and faculty not yet tenured. The work may be in any area of American legal history, including constitutional and comparative studies, but scholarship in the colonial and early national periods will receive some preference. The Foundation awards the prize on the recommendation of the Cromwell Prize Advisory Committee of the American Society for Legal History. In 2006, the Committee considered books and articles published, or dissertations accepted, in the previous calendar year. The Cromwell Foundation has also established a $2500 prize for dissertations accepted or student articles written in the previous year in the general field of American legal history (broadly conceived), with some preference for those in the area of early America or the colonial period. Anyone may nominate works for the Cromwell Prizes. The Committee will accept nominations from authors, dissertation advisors, presses, or anyone else. Nominations for this year’s prizes should include a curriculum vitae of the author and be accompanied by a hard copy version of the work (no electronic submissions, please) sent to each member of the Committee and postmarked no later than May 31, 2008. More information about all of these prizes, including addresses for members of prize committees is here. Don't be shy about asking your press (or your professor) to nominate you, or send your book or dissertation in yourself. Presses are often unaware of book prizes like this, and sometimes deadlines are missed. The bottom line is: you have to be the advocate for your own work. Threats to national security generally prompt incursions on civil liberties. The relationship has existed since the presidency of John Adams and has continued through two World Wars, the Cold War, Vietnam, and to the present day. Though this historical phenomenon is commonplace, the implications of that history for our post-9/11 world are less clear. In the long run, if we are to cope with present and future crises, we must think deeply about how our historical experience bears on a changing world. This book, published by the Russell Sage Foundation, addresses the past and present relationship between civil liberties and national crises, with contributions from leading legal scholars and historians. They seek both to draw historical lessons and to explore how the present situation poses unique issues. The contributors include Alan Brinkley, Daniel Farber, Stephen Holmes, Ronald D. Lee, Jan Ellen Lewis, L.A. Powe, Jr., Ellen Schrecker, Paul M. Schwartz, Geoffrey R. Stone, and John Yoo. Security v. Liberty focuses on periods of national emergency in the twentieth century—from World War I through the Vietnam War—to explore how past episodes might bear upon today’s dilemma. Distinguished historian Alan Brinkley shows that during World War I the government targeted vulnerable groups—including socialists, anarchists, and labor leaders—not because of a real threat to the nation, but because it was politically expedient to scapegoat unpopular groups. Nonetheless, within ten years the Supreme Court had rolled back the most egregious of the World War I restrictions on civil liberties. Legal scholar John Yoo argues for the legitimacy of the Bush administration’s War on Terror policies—such as the detainment and trials of suspected al Qaeda members—by citing historical precedent in the Roosevelt administration’s prosecution of World War II. Yoo contends that, compared to Roosevelt’s sweeping use of executive orders, Bush has exercised relative restraint in curtailing civil liberties. Law professor Geoffrey Stone describes how J. Edgar Hoover used domestic surveillance to harass anti-war protestors and civil rights groups throughout the 1960s and early 1970s. Congress later enacted legislation to prevent a recurrence of the Hoover era excesses, but Stone notes that the Bush administration has argued for the right to circumvent some of these restrictions in its campaign against terrorism. Historian Jan Ellen Lewis looks at early U.S. history to show how an individual’s civil liberties often depended on the extent to which he or she fit the definition of “American” as the country’s borders expanded. Legal experts Paul Schwartz and Ronald Lee examine the national security implications of rapid advances in information technology, which is increasingly driven by a highly globalized private sector, rather than by the U.S. government. This paper considers the emergence of the concept of authorship in copyright history as a response to the commercial market for literary and artistic works. Copyright law developed in the eighteenth century to create ownership in creative works and ensure that those who produce and distribute creative works to the public would be remunerated through the mechanisms of the commercial marketplace. Authors however, write and create for a variety of reasons, some of which are not purely economic or rational. Beyond writing for public recognition and reward through the market, authors may create and produce creative works purely as a natural human response to a deeper moral aspiration to pursue knowledge. This aspect of authorship is one that is not explored in copyright law and this paper applies natural law philosophy to copyright law by regarding authorship in the pursuit of knowledge as a common human good. By removing from copyright law the assumptions that all authors are purely rational actors seeking to maximize their economic benefits from the market and seeing authors as pursuing knowledge as a practical reasonable choice, doctrines in copyright law can be reconsidered in light of this natural law claim. This paper concludes that natural law philosophy provides an important insight into the manner in which laws and legal systems can be analyzed and clarifies many of the legal problems we face today. The book under review, The Cambridge Companion to Ancient Greek Law, consists of twenty-two essays on various aspects of the law of ancient Greece - principally that of Athens in the fifth and fourth centuries BCE. These essays do a good job of conveying to the reader a sense of the law, in all of its strangeness to modern eyes, that developed in the society often viewed as the birthplace of democracy. The contributors to the volume include the leading scholars in the subject from Europe and the United States. The book will be of interest to comparativists, to classicists with an interest in ancient law, and to legal scholars who wish they had studied classics. In the review itself, Rothchild finds the book "an enormously worthwhile read for fans of diachronic comparativism, for classicists with an interest in ancient law, and for legal scholars who wish they had studied classics. In general it is quite accessible to the nonspecialist." This Companion volume provides a comprehensive overview of the major themes and topics pertinent to ancient Greek law. A substantial introduction establishes the recent historiography on this topic and its development over the last 30 years. Many of the 22 essays, written by an international team of experts, deal with procedural and substantive law in classical Athens, but significant attention is also paid to legal practice in the archaic and Hellenistic eras; areas that offer substantial evidence for legal practice, such as Crete and Egypt; the intersection of law with religion, philosophy, political theory, rhetoric, and drama, as well as the unity of Greek law and the role of writing in law. The volume is intended to introduce non-specialists to the field as well as to stimulate new thinking among specialists. 22. Law and nature in Greek thought A. A. Long. The Article offers a new perspective on the way international income tax has developed from its nascency, 85 years ago, to the present day. Its main claim is that, due to the lack of a clear normative tax agenda, trade considerations unduly eroded the income tax base. Such trade considerations highlight the importance of reducing tax obstacles on trade and investment to liberalize and integrate international markets. These considerations penetrated international income tax discourse during the Cold War period, when liberalizing trade was part of a broader western agenda to establish dominance through the liberalization of international markets. The Article demonstrates that the tax allocation conventions developed in the periods prior to the Cold War -- and thereafter -- were unable to counter successfully an endemic trend of tax erosion. To establish this claim, the Article frames three novel chronological phases and shows how different themes governed each phase. It then connects each theme and the relevant parallel global geo-political occurrences of that phase. The Article presents an original "macro" perspective of the development of international taxation sourcing conventions. It encapsulates this broad topic by focusing on a number of key issues arising from the conventions regarding the allocation of interest income. Access to foreign capital markets and foreign lenders is paramount to economic growth. Therefore, the tax treatment of interest income has always been a pivotal and controversial issue. The centrality of interest income allocation conventions and their modifications over the years make them a good proxy for understanding the more general evolution of international tax law. Since tax law research is the art of tying big themes with devils hiding in the details, the Article engages in an in-depth critical analysis of a number representative interest allocation mechanisms to demonstrate the dynamics of the income tax erosion it identifies. The Article builds on its historical analysis to open a wider discussion over the proper allocation method for taxing financial income. The mobility and tax sensitivity of capital assets make them the subject of tax planning (by taxpayers) and tax competition (by sovereigns). This renders the analysis important and interesting, but also more multilayered and difficult. The Article concludes with a discussion of the principled normative pillars of any future reform in the allocation of tax revenues arising from financial income. This discussion promotes the notion that, at least in the case of financial transactions within multinational enterprises, there is a need for an immediate strategic shift, if tax authorities wish to maintain the integrity of the corporate income tax. Debates over Corporate Social Responsibility stretch from the 1930s to the twenty-first century, and have engaged some of the leading minds of the era. 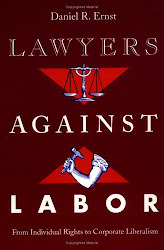 In the legal academy, these debates have tended to focus on whether corporate managers and directors should owe duties to shareholders alone, or whether the scope of their legal responsibilities should be widened to include employees, communities, consumers, and other "stakeholders" in the enterprises. But there is a problem with these debates: they rarely seem to have gone anywhere. Viewed in historical perspective, each new round of debate on corporate social responsibility seems merely to recapitulate earlier debates in a slightly altered form. This Article traces out these debates over corporate social responsibility in order to provide contemporary students of CSR a vantage-point from which they can critically evaluate their predecessors, and separate out the still-vital elements in those debates from the lost causes. The story of anti-dueling laws has become a favorite tale for many social norms theorists. In their tellings, the spread of anti-dueling laws in the antebellum South and the subsequent end of dueling illustrates how properly drafted laws can change social norms and thus alter behavior. The actual history of these laws, however, teaches a different lesson. While the laws were carefully crafted to undermine the social norms promoting dueling, they failed. The very social norms that encouraged dueling prevented effective enforcement of laws passed to end the practice, and the affair of honor in the South was ended not by well-intentioned laws but by the social catastrophe of the Civil War. This account in turn suggests that there will be limits on modern-day attempts to alter social norms through legal sanctions. The Sixties Unplugged: A Kaleidoscopic History of a Disorderly Decade by Gerard J. DeGroot (Harvard University Press) gets a critical review from Michael S. Roth, president of Wesleyan University (and blogger! ), in the San Francisco Chronicle. According to Roth, "DeGroot wants to destroy the notion that the '60s had a consistent, logical development with a clear legacy. But he never mentions any historians who hold this view about the decade, or, for that matter, any other time period." The book offers "useful reminders of global events that are not often juxtaposed with the protest movements of the time." But ultimately the author's "conceit of being 'unplugged' is also his disguise for being an objective observer without an agenda. But cynicism is an agenda. Good history is not just scornful debunking, and thoughtful historical accounts require empathy, not just irony." 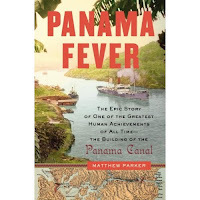 Historians concerned with American empire will have an interest in Panama Fever: The Epic History of One of the Greatest Engineering Triumphs of All Time: The Building of the Panama Canal by Matthew Parker (Doubleday), reviewed today in the Philadelphia Inquirer. Chris Patsilelis finds the book "panoramic in its geographic, scientific and political scope, and focusing closely on the sensitive social and labor issues," and "a marvelously comprehensive work about an epic engineering triumph." Betrayal: How Black Intellectuals Have Abandoned the Ideals of the Civil Rights Era by Houston A. Baker Jr. (Columbia University Press) is "an urgent, absorbing read," but "its blanket condemnation of the most prominent black public intellectuals is not entirely fair," writes Erin Aubry Kaplan in the Los Angeles Times. 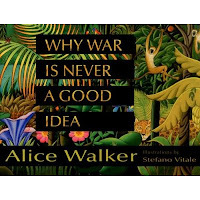 For young readers, Why War Is Never a Good Idea, written by Alice Walker, illustrated by Stefano Vitale (HarperCollins) "is an important and beautiful book," writes Liz Rosenberg for the Boston Globe. Vitale's beautiful and powerful artwork is reason alone to click over to the Globe's review. "It may be too easy for children - American children perhaps especially - to believe war has nothing to do with them or their world," writes Rosenberg. Walker's text "pulls no punches with her young readers, nor does she pretend that war is something separate from our existence." The result is a book that "stands alongside Mark Twain's famous 'The War Prayer' as an American antiwar classic." 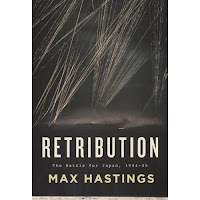 RETRIBUTION: The Battle for Japan, 1944-45 by Max Hastings (Knopf), arguing that the atom bombing of Japan was justified, is critically reviewed by Kai Bird in the Washington Post. B ird describes the book as "military history as told from the foxhole -- or, in the case of this narrative of the last year of the Pacific war, as told from the decks of aircraft carriers." But on the book's central argument about Hiroshima and Nagasaki, "Hastings abandons his critical faculties," and "does not alert his readers" to new evidence in recently published books. Bird finds this "unfortunate," for "Hastings's narrative is fully compatible with a more nuanced interpretation of how the Pacific war ended." The Post also carries a review of TERROR AND CONSENT: The Wars for the Twenty-first Century by Philip Bobbitt (Knopf) by Daniel Byman, Georgetown. Byman writes that Bobbit, "despite his establishment pedigree...is a thoroughgoing contrarian. Defying the nearly universal criticism among academics of the term 'war on terror,' Bobbitt embraces it, making a strong case -- better than the Bush administration has -- that the challenge can best be thought of as a series of wars." In Byman's view, "readers should approach Terror and Consent with a mixture of caution and open-mindedness. Not all of Bobbitt's pronouncements may be convincing. But his book constantly prods us to reexamine our preconceptions about terrorism, which is by itself some preparation for what may lie ahead." Penal historian David J. Rothman has described early American prison sentences as "very long" while French emissaries Gustave de Beaumont and Alexis de Tocqueville, writing in 1833, described the American penitentiary system as "severe." Though there exists a rich body of literature interpreting the birth of the prison, few scholars have written on the length of prison sentences that accompanied this birth. Using the length of prison sentences assigned to 1,727 convicts sentenced to the Eastern State Penitentiary in Pennsylvania in a dozen years falling between 1829 and 1865, this study investigates how long prison sentences were in Pennsylvania, what factors (race, age, gender, nationality, state of origin, recidivist status) affected sentence length, and how sentence length changed over time. Additionally, it compares Pennsylvania‘s sentence lengths to other American states to determine how representative Pennsylvania‘s prison sentences were of American prison sentences generally. Finally, it compares Pennsylvania‘s sentence lengths to those of Great Britain. While acknowledging the difficulty in comparing prison sentence lengths of different penal regimes in different states or countries, this study determines that Pennsylvania generally distributed shorter sentences than most other American states, but longer sentences than those in Great Britain. These quantitative differences are then situated in the "American exceptionalism" debate regarding contemporary penality in the United States and abroad. Much of the history of the doctrine of parliamentary privilege is one of dispute between parliaments and the courts. One source of dispute has been the disagreement between parliaments and the courts about which body may make the final pronouncement on questions of parliamentary privilege. The 1839 case of Stockdale v. Hansard represented a modern landmark in this dispute because it suggested that parliaments and the courts could occupy different complimentary roles. In Stockdale the court claimed the jurisdiction to determine questions about the existence and ambit of parliamentary privileges, but disclaimed the jurisdiction to rule upon the exercise once it has been held to exist. But the dividing line between a case concerning the existence or ambit of a privilege of parliament and one concerning the exercise of a privilege is difficult to draw. This article examines the basis upon the courts claim the jurisdiction to determine the existence and ambit of parliamentary privileges. It also analyzes three modern Australian cases in which courts have been required to rule upon questions of parliamentary privilege. These cases suggest that uncertainty remains about the jurisdiction of courts to rule upon questions of parliamentary privilege. Gabriel J. (Jack) Chin, University of Arizona James E. Rogers College of Law, has just posted on SSRN three articles on U.S. immigration law history. To place this work in a comparative context, see also Satvinder Juss's recent article on citizenship in the United Kingdom in the 60s and 70s, noted in the previous post. The Immigration and Nationality Act of 1965 may prove to be the most consequential of the Great Society civil rights initiatives. The Act removed a reference for whites which had been a central feature of American immigration and nationality law since 1790; the resulting diversification of the immigrant stream will make America a "majority minority" nation within a few decades. Many commentators contend that the diversification that resulted from race-neutral immigration policy was unanticipated, undesired or both, from the perspective of the Congress that passed the Act. This article reexamines the question, drawing on legislative history as well as interviews with key legislators such as Gerald R. Ford, cabinet members including Nicholas deB. Katzenbach, and other participants in the development of the Act. The article concludes that it is more likely that Congress, largely the same one that passed the Civil Rights Act of 1964 and the Voting Rights Act of 1965, rejected the idea of America as a white nation. Congress actually intended to eliminate racial discrimination, and welcomed the diversification that it knew would result. For a century, the vision of racial equality expressed in John Marshall Harlan's dissent in Plessy v. Ferguson has captured the legal imagination in a way matched by few other texts. Even today, the symbolic power of Harlan's rejection of segregation of African Americans and whites in New Orleans streetcars is rivaled only by the Reverend Martin Luther King, Jr.'s I Have a Dream speech and Brown v. Board of Education. There is a tiny fault in Harlan's Plessy dissent, a slip. After arguing that the government should guarantee "equality before the law of all citizens of the United States, without regard to race," the next paragraph begins like this: "There is a race so different from our own that we do not permit those belonging to it to become citizens of the United States. Persons belonging to it are, with few exceptions, absolutely excluded from our country. I allude to the Chinese race. But by the statute in question, a Chinaman can ride in the same passenger coach with white citizens of the United States, while citizens of the black race [cannot]...." This essay explores Justice Harlan's attitude towards Chinese Americans in this and other cases in an effort to contextualize his Plessy dissent, and concludes that his anti-Chinese attitude is reasonably consistent. Many scholars ignore the anti-Chinese language in Plessy and other cases, making no effort to square his words with the idea that Harlan's view is worth following today. The essay concludes by suggesting that while Harlan was ahead of his colleagues on the Plessy Court in recognizing that "separate but equal" was catastrophically flawed, he failed to offer an understanding of equal protection of the laws which is useful today. Instead, Harlan's vision of a Constitution protecting some non-whites, yet approving of racial discrimination against other non-whites, was ultimately as unprincipled and unstable as the particular form of race hierarchy he rejected. This article explains how the shift from birthright principle to parentage citizenship, which the 1960's legislation came to epitomize, was bound to lead to difficulties for citizens and state alike. The argument will be advanced that legal machinations in citizenship laws are to date an unedifying spectacle of a departure from what was once a classic principle of law. Indeed, such is the opprobrium that attaches to the event that Kevin Wilson has cautioned the United States against using anti-immigrant sentiment as a basis for migration law policies. The article will re-visit the East African Asians Case, including the events leading up to it, because, as will be argued, the full lessons of this case have still not been entirely learned by governments and lawyers alike. 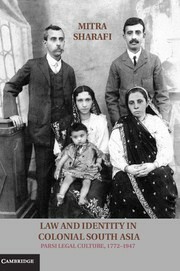 The East African Asians Case became a cause célèbre amongst human rights lawyers, in part because it highlighted how issues of race and culture can distort the policy-making process, destroying a person‘s legal and civil status in a community. Legal policy on an issue of such fundamental importance should not be distorted in this way. Principle should not be sacrificed to ill-conceived expediency. In the East African Asians Case, a group of British citizens of Asian descent living in East Africa, and lacking the parentage connection to Britain, were denied admission when they sought to enter the country in 1970. The European Commission on Human Rights resoundingly found that racial discrimination, to which the applicants had been publicly subjected by the application of UK immigration legislation, constituted an interference with their human dignity, which in the special circumstances of the case amounted to ‘degrading treatment’ in the sense of Article 3 of the European Convention on Human Rights.6 ‘Degrading treatment’ means interferences with human dignity of a particularly serious nature. The fact that the applicants had historical and cultural associations with the United Kingdom, but not racial connections, only helped to underscore how differential treatment by a state can become unacceptable, as did the fact that such differential treatment was carried but by a European country in respect of one of its own nationals. Developments in the U.K. in the 1960s were in response, in particular, to Asian immigration from Kenya, which became independent in 1963. The other East African country with an especially important crisis over Asian citizenship was Uganda. The 1970 East Africa Asians case preceded by a couple of years the mass expulsion of Asians from Uganda by Idi Amin. Juss's article provides an interesting comparison with the expansion of immigration in the United States in the 1960s. Jack Chin has just posted an article on this topic, noted here with more recently posted works. Much has been written about Head Start in the form of evaluations of the program's effectiveness, but little unbiased work about the program's politics has emerged. This essay asks how Head Start has survived and even thrived over thirty-five years when other Great Society programs have died. 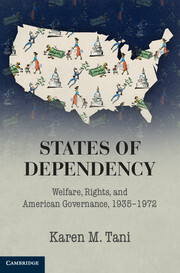 To answer this question, it explores the coalition that emerged between civil rights activists, intellectuals studying child development and social programs for children, and community action embodied in Great Society legislation. The essay traces the development of Head Start out of the emerging academic interest in "compensatory education for cultural deprivation" and the New Left's desire to build a movement focused on civil rights and community action. These two groups, united in their support for Head Start and for broader reform of public education, fought over its treatment of parents of children enrolled in the program. However, neither side could correctly predict how parents actually experienced Head Start or how parents helped to ensure Head Start's political survival. This Lecture investigates the social movement dynamics that produced woman-protective antiabortion argument. The Lecture explores the political conditions under which leaders of the antiabortion movement began to supplement or even to supplant the constitutional argument abortion kills a baby with a new argument, abortion hurts women - a claim that achieved widespread public notice with the Supreme Court's 2007 decision in Gonzales v. Carhart. The Lecture's genealogy of a social movement claim begins in the 1980s, when members of the antiabortion movement asserted that abortion subjects women to regret, trauma, and psychological illness, a condition they termed post-abortion syndrome (PAS). My story then follows changes in the abortion-harms-women claim as it was transformed from PAS - a therapeutic discourse initially employed to dissuade women from having abortions and to recruit women to the antiabortion cause - into woman-protective antiabortion argument (WPAA), a political discourse forged in the heat of social movement conflict that sought to persuade audiences outside the movement's ranks in electoral campaigns and in constitutional litigation. Whereas PAS grew up as a mobilizing discourse deployed primarily among women volunteers and clients in the antiabortion movement's crisis pregnancy network - a context in which abortion-hurts-women testimonials had important expressive functions - WPAA took shape in political contexts in which the abortion-hurts-women argument had important strategic functions. In the 1990s, antiabortion advocates sought to explain to audiences that ambivalently supported the abortion right why women would benefit from legal restrictions on abortion. As they did so, they fused PAS claims and stories with traditional gender-paternalist argument, justifying restrictions on women's agency as needed to protect women from male coercion and to free women to be mothers. As a political discourse designed to rebut feminist, pro-choice claims, WPAA came to internalize elements of the very arguments it sought to counter - fusing the public health, trauma, and survivors idiom of PAS with the idiom of the late twentieth-century feminist and abortion-rights movements. As the Lecture shows, social movement mobilization, conflict, and coalition each played a role in the evolution and spread of the woman-protective antiabortion argument, in the process forging new and distinctly modern ways to talk about the right to life and the role morality of motherhood in the therapeutic, public health, and political rights idiom of late twentieth-century America. The Lecture concludes by considering the new gender-paternalist justifications for abortion restrictions discussed in Carhart. With the spread of woman-protective antiabortion argument and its seductively modern justifications for using law to impose motherhood on women, Justice Kennedy and the nation will once again have to decide - not only how to balance the liberty of the pregnant woman against the state interest in protecting potential life - but more fundamentally, about the kind of women that constitutional guarantees of liberty and equality protect. This question is far from abstract, as South Dakota once again considers whether to adopt an abortion ban, justified by fetal-protective and woman-protective argument, in the 2008 elections. The year 1967 becomes the temporal landmark for the beginning of an interracial nation. That year, the United States Supreme Court ruled state antimiscegenation laws unconstitutional in Loving v Virginia. In addition to outlawing interracial marriage, these restrictive laws had created a presumption of illegitimacy for historical claims of racial intermixture. Not all states had antimiscegenation laws, but the sting of restriction extended to other states to forge a collective forgetting of mixed race. Defenders of racial purity could depend on these laws to render interracial relationships illegitimate. Looking back to Loving as the official birth of Multiracial America reinforces the prevailing memory of racial separatism while further underscoring the illegitimacy of miscegenations past. By establishing racial freedom in marriage, Loving also sets a misleading context for the history of mixed race in America. Even though Loving instigates the open acceptance of interracialism, it unintentionally creates a collective memory that mixed race people and relationships did not exist before 1967. To imagine and realize a pre-1967 miscegenated America directly challenges the legal legitimacy of the racial reality that antimiscegenation law attempted to enforce. I approach this subject by examining contemporary claims of mixed race that are rooted in the past. This conflict usually entails opposing narratives: one venerating the involvement of a prominent historical figure as party to an interracial relationship; the other steadfastly holds that such claims are unfounded as specious. Placing miscegenation upon narratives and figures that are faintly characterized and understood as racially white turns private claims of mixed identity into public contemplations of interracial intimacy. To imagine historic figures as "Founding Fathers" of another sort destabilizes an implicit understanding of ingrained racial limitations. Who makes corporation law? The study of corporation lawmaking has been a lively area in recent years, but scholars have limited their studies by focusing on only one kind of corporation law, the law of the public corporation. This article takes a new approach to the question through a legal historical case study of the law of the close corporation. Corporation statutes in the first half of the twentieth century were crafted by legislatures to fit public, not close, corporations. Close corporation participants found the standard-issue mechanisms provided by these statutes unsatisfactory, however, and sought instead to organize their firms through private agreements among themselves. Such agreements were common, but courts would void them if they diverged too far from corporation law's statutory norms. This created a process in which close corporations adopted, and judges later approved (or disapproved) a range of agreements and arrangements designed to privately order the close corporation; in the end, this incremental back-and-forth produced a common law of close corporations. Only after the development of a common law of close corporations did legislators change corporation statutes to further legitimize close corporations' special agreements. This account challenges our understandings of how corporate law is made, for it shows that close corporation law was made not only by legislators, courts, and interest groups, but by close corporation participants themselves. 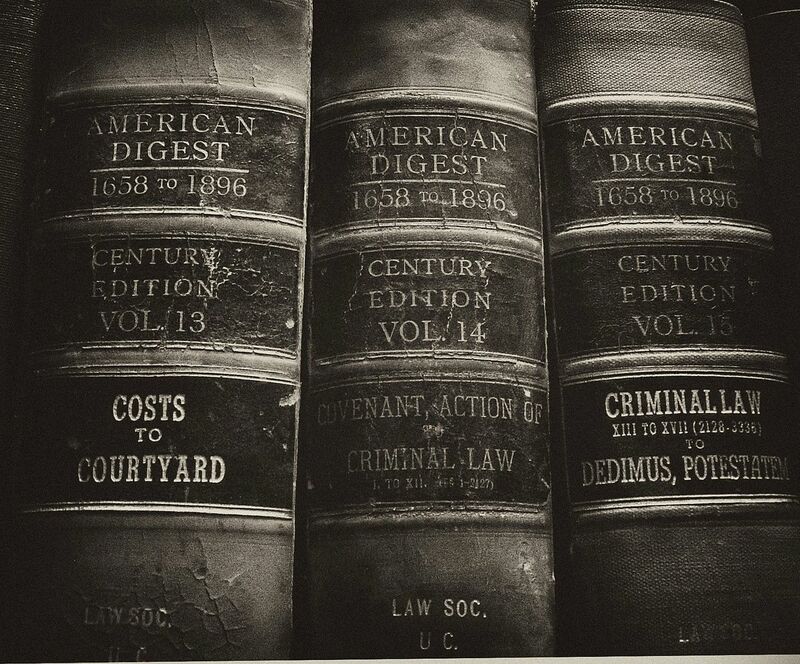 This Article thus not only illuminates understudied areas of corporation law and legal history, it provides us a new account of the production of a vital area of modern American law. 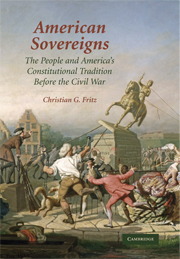 More from Christian G. Fritz, University of New Mexico: his new book, American Sovereigns: The People and America's Constitutional Tradition Before the Civil War, is just out from Cambridge University Press. Fritz has posted the prologue on SSRN. Shame on Cambridge University Press for pricing the book at $80 (before discounts). This ensures that mere mortals, including graduate students, will be unable to purchase it, and then also makes it hard for a book to garner the sales to justify a paperback. Be sure that your library knows that you want them to purchase a copy. If you want to assign the book but can't because of the price, let the author know. That will help him argue for a paperback. American Sovereigns: The People and America's Constitutional Tradition Before the Civil War challenges traditional American constitutional history, theory, and jurisprudence that sees today's constitutionalism as linked by an unbroken chain to the 1787 federal constitutional convention. American Sovereigns examines the idea that after the American Revolution, a collectivity - the people - would rule as the sovereign. Heated political controversies within the states and at the national level over what it meant that the people were the sovereign and how that collective sovereign could express its will were not resolved in 1776, in 1787, or prior to the Civil War. The idea of the people as the sovereign both unified and divided Americans in thinking about government and the basis of the Union. Today's constitutionalism is not a natural inheritance, but the product of choices Americans made between shifting understandings about themselves as a collective sovereign. John Dinan, Department of Political Science, Wake Forest University finds the book "painstakingly researched and richly rewarding," in a review on H-Law.